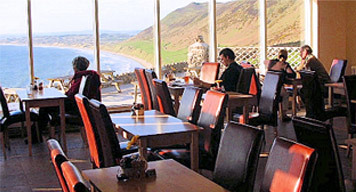 The Worm’s Head Hotel is a family run Hotel with stunning views of Rhossili Bay and the Worm's Head. 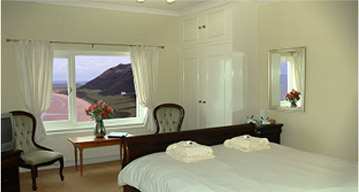 The perfect place to get away from it all with its magnificent setting that is wild yet peaceful. Choose from a range of hot and cold snacks to more hearty dishes such as Battered Fish & Chips, homecooked Pies & Lasagne in our multiple Bars and Restaurants. Enjoy your stay in our pleasantly decorated rooms which include en-suite private bathroom with toiletries, digital television with freeview channels, direct dial telephone and tea/coffee facilities. 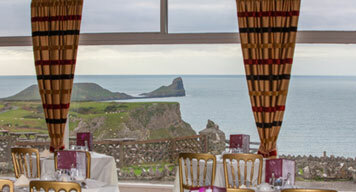 The Worm’s Head Hotel is the perfect setting for those special events, including accommodating up to eighty people in our Ocean Room providing a romantic and picturesque setting for any occasion.